All right. So I’ve done it. I’ve made up my mind to travel the world as long as I can, starting in June 2018. Even though it is slightly far away and I have yet to buy any tickets, I am 100% positive I will be doing this. Over the past few months I have started to panic a bit about getting too deep in the wedding photography business and my life in Florida. I felt that I was going to get stuck and never accomplish those grand adventures my heart has desired so fiercely. I would go back and forth trying to convince myself that my career would help me travel, and in a way it was the truth. However, not exactly in the way I wanted, and deep down I new this. So one day while talking with one of my fellow globetrotters, I had a realization. 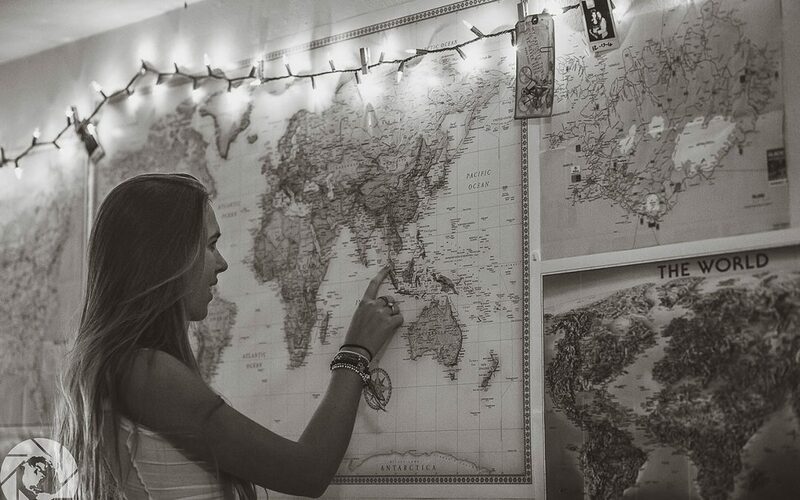 If I don’t just go, and go now, I would never achieve my dream of long-term travel. I was sick of the quick little trips around the US and even one to Iceland. They never left me feeling as fulfilled as I was hoping, instead the left me feeling empty and slightly depressed to be back to my “Normal Life”. I needed to really do it. Save up my money, sell my car, and GO. So that is exactly what I will be doing. Starting in Thailand to teach English and working my way through Indonesia, India and Europe and to finish it off the place that started it all, South America. The order and plans could easily change, and most likely will. However, one thing is certain; I will be going, and it will all be documented right here. I will be sharing my crazy adventures with all of you through my photos and my writing! So please buckle up, there is going to be some turbulence!